ICON’s ultimate goal is to build one of the largest decentralized networks and connect players from financial institutions, insurance companies, hospitals, and universities with a single network. For this reason, it is often referred to as the blockchain of all blockchains. 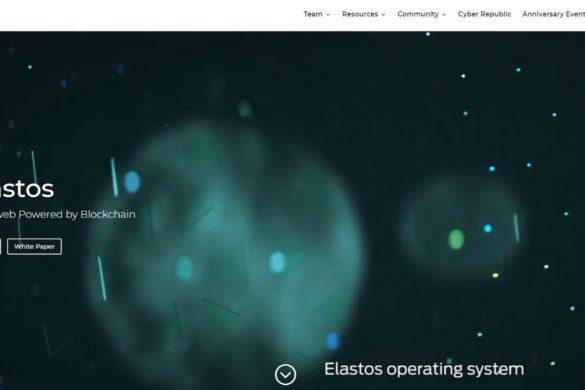 The network was developed with the idea of providing the ability to link between different communities across countries and governing bodies and redefining the current economic system. ICON was founded by a Korean Fintech company, Dayli Financial Group, a parent company that includes more than 16 companies and the successful launch of over 30 fintech products and services. 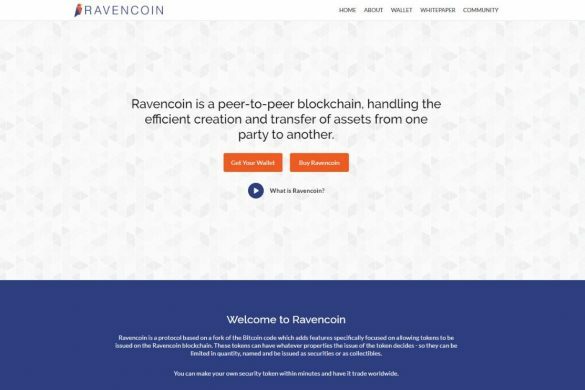 Dayli also owns the Korean exchange Coinone and is estimated to be worth $4 billion. The ICON team includes over 50 members with vast experience in the areas of blockchain, artificial intelligence, financial services and business is from South Korea. The head of the AI department is Sunghwan Kim, who has over 10 years of experience in data analysis and development, including experience in embedded systems, IoT, autonomous vehicles, simulation software, and big data processing systems. Distinguished advisors on the team include Yiseul Cho, a former Facebook employee with experience running her own blockchain lab, and Don Tapscott, a Canadian businessman who runs the world’ leading thinktank dedicated to understanding blockchain opportunities, The Blockchain Research Institute. ICON’s blockchain has spread all over South Korea, one of the major leaders behind the cryptyo market and a good indicator of any coin’s acceptance in the cryptoworld at large. As a result, many users are waiting to see whether it will be adopted in other markets and its value rise significantly. The company has successfully built many strategic partnerships throughout the insurance, financial and educational sectors. These include investment firms such as Pantera Capital, Kenetic Capital and media outlets such as Forbes and Bloomberg. ICON currently works with a full range of partners spanning the security, hospital and higher education verticals. Its ability to partner with these different groups has brought wide adoption of blockchain and ICON. The company was also chosen by the Korean Ministry of Science and Technology to develop a payment system for student services around universities system called U-Coin. Additional partnerships include the Woori Bank, one of the largest South Korean banks with over $9.7 in market capital and Japan’s SBI Ripple, a group of over 61 Japanese banks working together to bring Ripple’s blockchain solution to South Korea. It is also in the beginning stages of a formal partnership with Samsung Securities with the signing of a Memorandum of Understanding in 2017. ICON’s token sale raised 150,000 Ether, meeting its fundraising goal by the end of 2017. 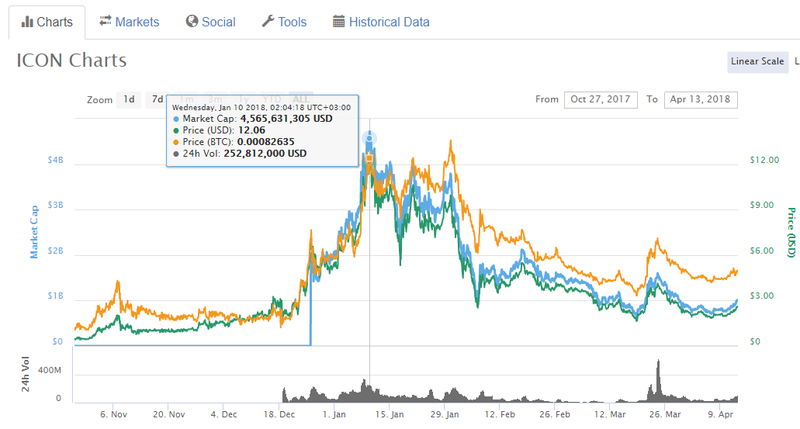 After the ICO in October 2017, the coin shot up three months later in January to $12.06, more than 100X its original ICO price of $0.12 at the time of the pre-sale. By the end of the year ICON was worth $6.99. The value of the coin consistently increased for most of 2017. The company then launched its service with three different universities, insurance and financial companies. ; the name of the specific bank has not been made public. By April 2018, ICON’s price was hovering around $2.00. Even so, the platform took the position as one of the top 20 coins on CoinMarketCap.com by the end of March 2018. The ICON Network allows anyone to create a new blockchain project and to link the new project to other existing projects to form a greater community through the ICON Republic. Community representatives, (C-Reps) connect communities to the Republic through the Nexus, a loopchain-based blockchain that provides the foundation for the Republic. Loopchain is a blockchain with smart contract features that allows individual communities to function independently yet as part of the greater blockchain ecosystem. Value is exchanged in real time through the ICON Republic with its own decentralized exchange (DEX). Unlike the focus on governance of the C-Reps, the DEX focuses on currency exchange, setting exchange rates using an AI model. The DEX uses ICON’s coins, ICX, as a currency for this exchange. Since ICON’s goal is to be a platform that links different cryptocurrencies, it offers its community the ability to trade currencies without having to use public exchanges such as Bittrex, Binance or Bitfinex. The main way to purchase ICON is through Binance, either through trading bitcoin or ether. Binance currently has the largest volume of ICX trading and allows you to exchange ICX with BTC, ETH and BNB currencies. 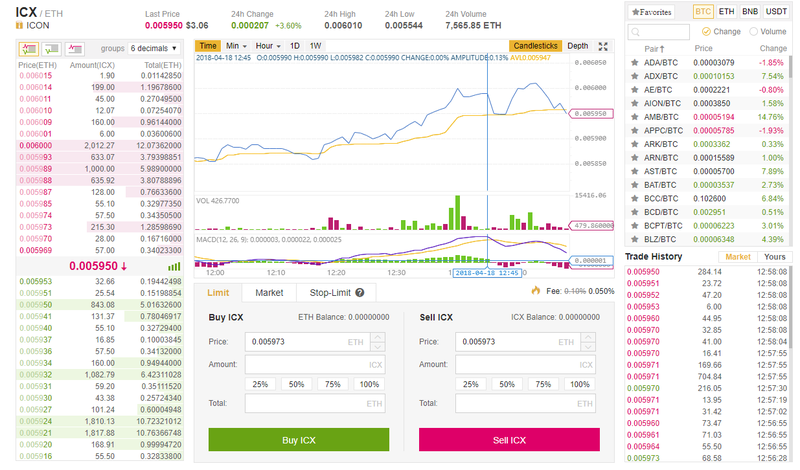 After registering to Binance you can purchase ICX with Ether either with a limit order, where you manually set the price at which you want to buy ICX, or a market buy, where you purchase ICX at the best price available. ICON can be stored in any wallet that supports ERC-20 tokens such as Coinomi, MetaMask and Myetherwallet. ICON also has an official wallet service, ICONex, which enables users to create and manage multiple addresses. ICONex support ERC-20 compliant tokens, which means ICONex supports every cryptocurrency that was created on the Ethereum network. 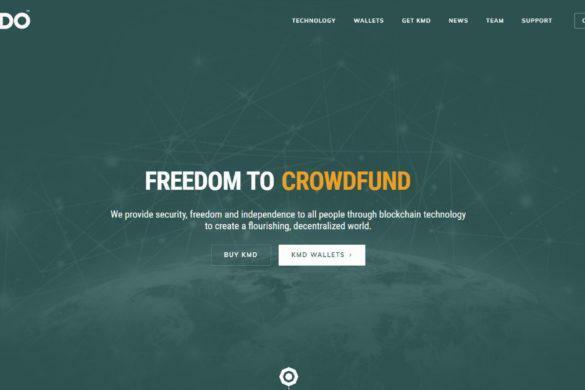 You can create your own wallet only via a Chrome extension. Many new features are scheduled for 2018, including a token swap. The Token Swap will give those holding ICX tokens the option to exchange their tokens with mainnet ICX coins. Each ERC20 ICX token will be worth one mainnet ICX coin. The ERC20 ICX tokens traded will be burned to prevent further use. Those who do not participate will not be able to use the tokens once the Token Swap is over. Although the feature is ready in the ICONex wallet, it is not yet ready in all of the exchanges and will be postponed until it is available in all exchanges. The announcement of the Token Swap will be made through ICON’s social networking channels and company blog. Additional features for 2018 include the release of a mobile wallet, a Scoring System and ICO platform, the launch of ICON’s decentralized exchange (DEX) and the Nexus Public Channel.